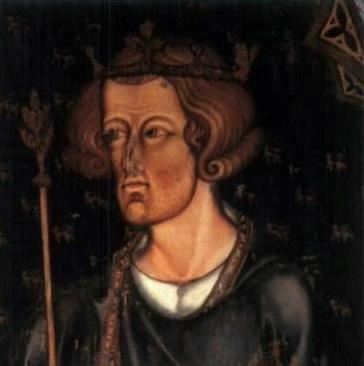 Edward I 'Longshanks' was King of England from 1272 to 1307. Before his accession to the throne, he was commonly referred to as The Lord Edward. The eldest son of Henry III, Edward was involved early in the political intrigues of his father's reign, which included an outright rebellion by the English barons. He spent much of his reign reforming royal administration and common law. Through an extensive legal inquiry, Edward investigated the tenure of various feudal liberties, while the law was reformed through a series of statutes regulating criminal and property law. Increasingly, however, Edward's attention was drawn towards military affairs. After suppressing a minor rebellion in Wales in 1276–77, Edward responded to a second rebellion in 1282–83 with a full-scale war of conquest. After a successful campaign, Edward subjected Wales to English rule, built a series of castles and towns in the countryside and settled them with English people. Next, his efforts were directed towards Scotland. Initially invited to arbitrate a succession dispute, Edward claimed feudal suzerainty over the kingdom. The war that followed continued after Edward's death, even though the English seemed victorious at several points. When the King died in 1307, he left to his son Edward II an ongoing war with Scotland and many financial and political problems.